It has been approximately two months since the crisis declaration was issued that allows Florida citrus growers to use bactericides to combat HLB. Three commercial products containing the two active ingredients, streptomycin and oxytetracycline, are available for use. Growers are implementing season-long plans for application of these materials to suppress HLB. A range of options exist for use of these products during the production season, and growers are attempting to integrate the use of these materials into their production and pest management plans and budgets, following the guidelines provided in the crisis declaration. Limited information has been gathered to date on the season-long performance of these tools to sustain the health of HLB-infected citrus trees or to prevent new infection in young trees. The Citrus Research and Development Foundation (CRDF) is working with growers to encourage cooperation in assessing the experience of these bactericides over the 2016–17 season and beyond. One way to learn from the first season of bactericide use is to gather information from growers on how they are using these new tools. A bactericide survey developed by CRDF in cooperation with AgNet Media will accomplish this objective. We encourage each grower to complete and submit the survey to contribute information on their use of bactericides so far, as well as season-long plans. While this is a relatively simple survey, it will provide good information on how growers are using these materials. Most importantly, the results will be presented at Citrus Expo on August 17–18 as a component of the educational session on bactericides. Growers are encouraged to take the quick and easy bactericide survey here. 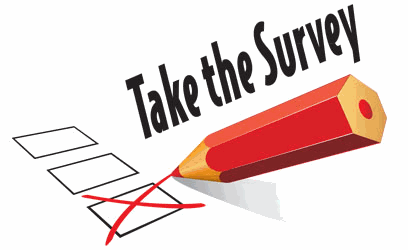 A printed copy of the survey will also appear in the June 2016 issue of Citrus Industry magazine that can be filled out and returned to AgNet Media by fax (888-957-2226) or mail (5700 SW 34th Street, Suite 1307A, Gainesville, FL 32608). All surveys must be completed by August 10, 2016. We look forward to seeing you at Citrus Expo and sharing the latest information on the use of bactericides!